The Pisang peaks in the Manang Himal range offer good scope for exploration. 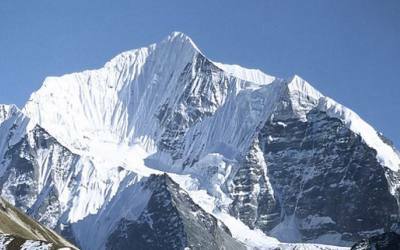 The western flank of Pisang Peak is guarded by a hanging glacier and offers a considerable challenge, while the western end of the ridge is guarded by huge rock slabs, which are difficult to climb. 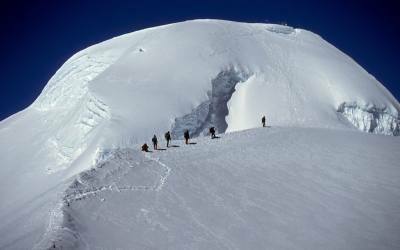 A German Expedition made the first ascent in 1955. With its distinguished snow and ice pyramid shape, the mountain is considered one of the most impressive and beautiful peak in the area. We will climb Pisang by following a steep and well-defined ridge to the summit from the south-east side. 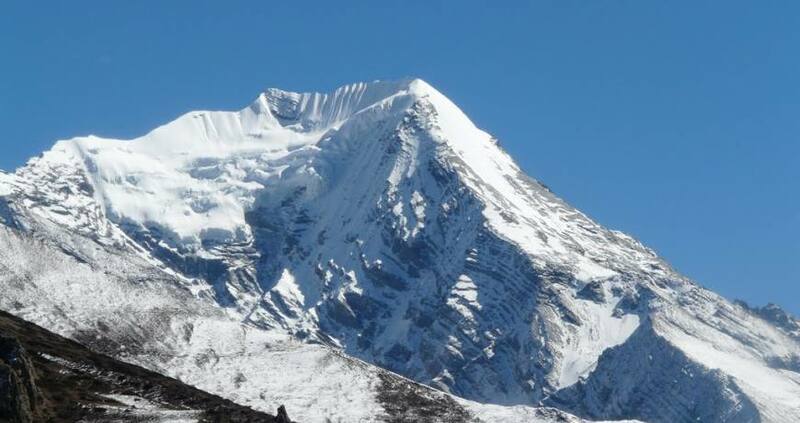 From the top there are mpressive views of Annapurna II & III, Manaslu, Gangapurna as well as numerous other peaks. Day 01: Arrival & Transfer to Hotel in the afternoon sightseeing around Thamel (Tourist Area) & Walking tour to Kathmandu Durbar Squire. Day 03: Kathmandu to Besisahar by Bus Stay at Banisher (760m). Day 04: Besisahar to Bahundanda (1310m). Day 05: Trek to Chamche (1430m). Day 06: Chamche to Dharapani (1860m). Day 07: Dharapani to Chame (2670m). Day 08: Chame to Pisang (3200m). Day 09: Pisang to Pisang Village (3300m). Day 10: Pisang Village to (Yak Kharka) base camp (4380m). Day 11: Yak Kharka to High (5400m). 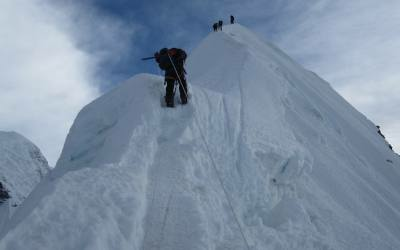 Day 12: High Camp-Pisang Peak Summit (6091m), O/N in Base Camp. Day 13: Base camp to Nawal Village (3657m). Day 14: Nawal Village to Manang Village (3540m). Day 15: Manang to Lather (4200m). Day 16: Lather to Phedi (4450m). Day 17: Phedi to Thorong pass (5416m) & Muktinath (3800m) Lodge. Day 18: Muktinath to Jomsom (2710m) overnight in Lodge. Day 19: Jomsom to pokhara by flight (820m) overnight in Hotel. Day 20: Pokhara to Kathmandu by Bus/Flight overnight in Hotel. Day 22: End of Programme. 2 full day sightseeing around Kathmandu Valley.